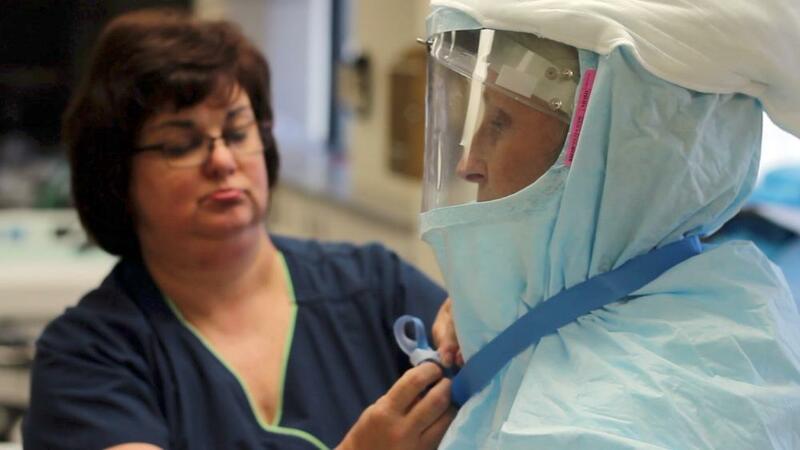 Nurses don protective gear used in treating highly infectious diseases. Dr. Mary McIntyre is the chief medical officer for ADPH. She says the new network is intended to respond to diseases like Ebola, severe acute respiratory syndrome or SARS, Middle East respiratory system or MERS, and certain types of flu infections. McIntyre says the three hospitals all have special isolation rooms with negative airflow and special protective equipment for staff, and have established protocols to limit staff contact with potentially infected patients. Patients identified by other hospitals or health care providers as carrying a highly infectious disease will be transferred to one of the three assessment hospitals. If the diagnosis is confirmed, the patients would be transferred to a regional treatment center. The closest is Emory Medical Center in Atlanta.